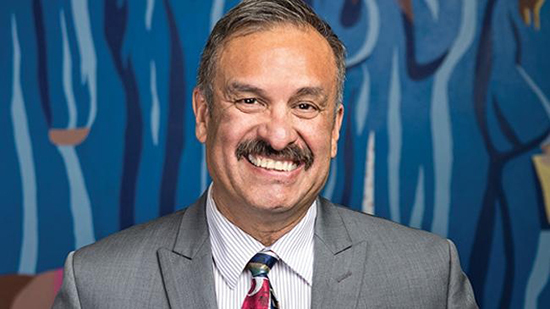 Oscar Mireles, the City of Madison's current Poet Laureate. Madison proudly boasts that we are one of the first cities in the nation to have a Poet Laureate, reflecting our longstanding poetic tradition and deep historical investment in the literary arts. On January 8, 2008, the Madison Common Council passed a resolution formally recognizing the Poet Laureate Program. Madison's Poets Laureate, or a poet they invite, occasionally open the Common Council with a poem. This act reinforces a mood of civility in discourse. Reading a poem prior to the meeting acknowledges and reminds us of the complexities of experience, language and truth, heightening everyone's consciousness of the potency of their words. The performance of the poem in the atmosphere of the council chambers, a place where our local elected officials make decisions that determine our daily lives, our landscape, and our children's future, is symbolic of the openness and acceptance necessary to our democratic process. In performing a poem, the poet makes her or himself vulnerable, as do all citizens who speak at our city council meetings. Council members are, in the moment of the reading, the poet's audience. Alderpersons offer their full attention to the poet in open-minded contemplation. For the duration of the reading, daily activity and political discourse are suspended, to make a space for another form of interaction and mutual meaning making. This simple gesture and the ideal human relationship it represents, establishes an elevated atmosphere for the meeting to come. Bus Lines, a signature project of the Madison Poet Laureate program, creates an opportunity for Madison residents to display their poems inside Metro Transit buses and brings poetry before city residents in a creative way.